Guys, I think it’s officially late summer…some kids are even back in school, already! Does it seem early or am I just getting older (do not answer that)? Either way, we have a few precious weeks of long days and sunshine before the leaves begin to turn and we embrace the best season ever–autumn! I know not everyone is as excited as I am for the season to turn, but let’s celebrate these last summer weeks with lots of sunshine, maybe a few beach days, and some delicious summer bounty. 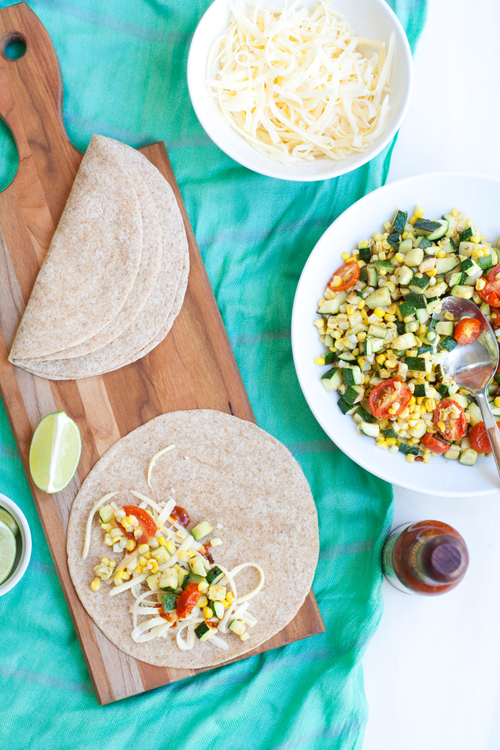 I made these quesadillas with some of my favorite summer produce — corn, zucchini, and tomatoes! Everyone gets a roast in the oven to bring out their sweetness, then it all gets piled on a tortilla with one of my favorite melting cheeses, Queso Chihuahua. I think of this cheese, named after the state in Mexico, like a buttery monterey jack. It’s totally delish and melts like a dream. Oh, and see that blue table runner up there in those photos? That’s actually a scarf from Shawlsmith London! It’s soft and light…just the sort of scarf that’s perfect for breezier summer days, transitional seasons, and even as a table runner or impromptu picnic blanket. Shalwsmith kindly sent me two scarves, one to try out and one for YOU! Yay! So, to win the same scarf in Poppy Red, simply leave a comment using the form below and tell me how you plan to savor the fleeting days of summer. I will choose a random winner Monday, August 19th. Shawlsmith are also, graciously, offering a coupon code just for us just type HUNGRYGIRL20 at check-out. Hurray! For medium-large, seedy zucchini, I like to slice around the core — I find it to be spongy and mushy when cooked. If you don’t have fresh corn, go ahead and use frozen kernels. 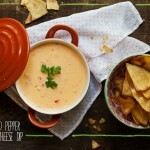 You can find Queso Chihuahua in the specialty cheese section of well stocked supermarkets. Leftover vegetables are great in quick tacos or folded into an omelette. Preheat oven to 425˚F. Line a baking sheet with parchment. 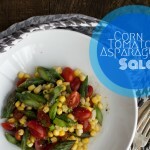 Toss the vegetables with 1 tablespoon canola oil, salt and spices, spread onto the baking sheet. Roast in the center of the oven for about 30 minutes or until the vegetables begin to caramelize. Remove from oven, squeeze lime juice over the vegetables and cool slightly before building quesadillas. In a nonstick pan place a tortilla topped with some cheese and a few spoonfuls of roasted vegetables, followed by a little more cheese, fold. Cook quesadillas on each side a few minutes until browned, crisp, and cheese has melted. Serve immediately with hot sauce. You had me at quesadilla. And yes! Love late summer! I love grilling everything outside to soak up every bit of summer! i plan to savor summer with savory recipes and hopefully a few more sunny days. 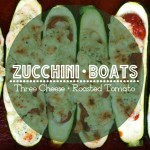 this recipe is perfect for helping me incorporate more of the neighbor’s zucchini harvest into my life. Girl I’m gonna hold on to summer until at least October.. is that OK? These quesadillas are winning all day long! Hmmm holding on to all the beautiful summer sun as long as possible! and cones of soft serve with sprinkles! I am holding onto these last fleeting days of summer by going corn-crazy! Nothing like fresh charred corn to remind you about summer! 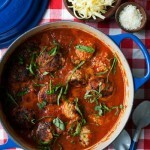 And these quasedillas are definitely being a dinner one night this week! Eat as many tomatoes as I possibly can ;) And quesadillas. I can’t believe the summer is almost over too–crazy how time flies! Relishing the evening twilight hours after work with walks in the park and drinks on the patio with my roommates! Lovely quesadilla! And I plan to soak up the last days of summer with my daughter before school starts! I’m hoping to hit the pool as many days as possible before it gets too cold! That looks DELICIOUS! And I plan to soak up the last days of summer by taking my dogs for as many walks as possible! Planning to eat as many peaches, nectarines, and tomatoes as possible! We are going to hit the State Fair at the end of August. The state fair is the epitome of summer to me. Okay, this is totally summer awesomeness overload! 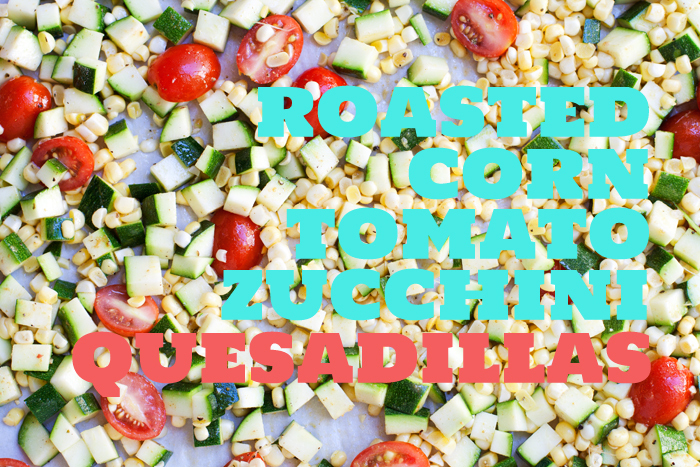 Quesadillas are a summer staple in our house and I am loving the roasted corn here! What a great quesadilla combination! And it’s definitely a great way to make your way through the summer zucchini haul. :) Yay! I’ll be spending them at the beach with my family!! I cannot lie, I am so excited for Autumn. It is my favorite season of all, despite it’s short duration. I just love boots, scarves, and that unmistakeable fall chill! But you’re right, in the meantime, let’s savor summer! 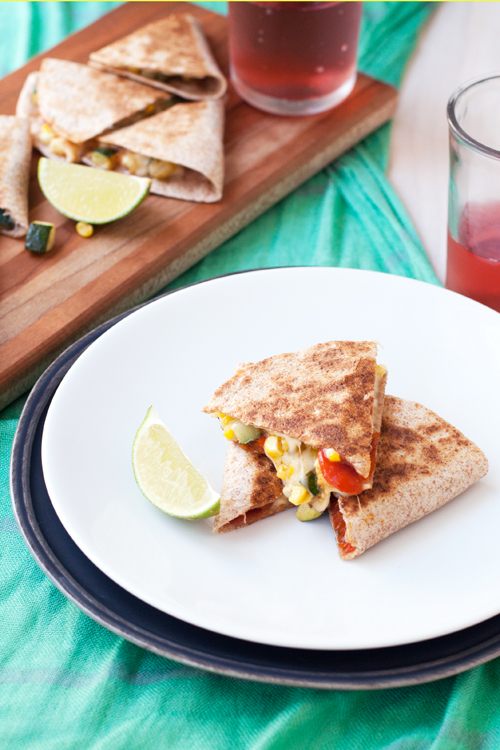 These quesadillas look awesome and totally highlight the awesome flavors of summer. Sign me up! This summer I’m definitely going to be reading more!! 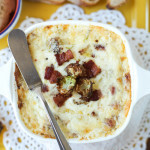 Love this recipe and giveaway! I plan to savor summer by doing exactly what you did in this post, roasting everything! Corn, zucchini, tomatoes, eggplant, peppers. Yum. More cookouts and dinners outdoors. All my favorite summer ingredients!! Yes!!! Oh and I know, how is it already late summer?? Time is flying, but I am kind of embarrassed to admit that I am just a little excited for fall. I love cozy baking and pumpkin and cinnamon! I plan on eating all the corn, peaches, and blueberries I can find! Plus, our beach vacation isn’t until the end of the month, so I still have that to look forward to. I plan on savoring the last few days of summer by going away on a long weekend. Then its back to the fall grind… Btw, the recipe looks great! I’ll eat many fruit and veggies and go to the beach! Taking advantage of the sunny days and light evenings as much as I can! It’s been pretty rainy where I live, so I’ve been appreciating the sunshine a lot more lately. Going to the big outdoor market as much as possible (though it looks like summer is pretty much over here). I live spending as much time outside as possible in late summer! The sweet corn in Colorado is unreal! I plan on grilling and eating as many ears of corn as possible. The Hatch green chiles are everywhere. I will roast a ton and freeze them to have plenty until next summer. Wow, that looks so yummy! 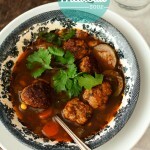 I love combining fresh local ingredients in even the most basic recipes. Getting ready for graduate school! I plan on eating all the lovely fresh fruit that is available! Sounds delicious! I love me some quesadillas. I plan on eating my weight in vegetables from my yard! swimming and staying at the pool as much as possible! Yum, yum, yum! I want to make those quesadillas right now!